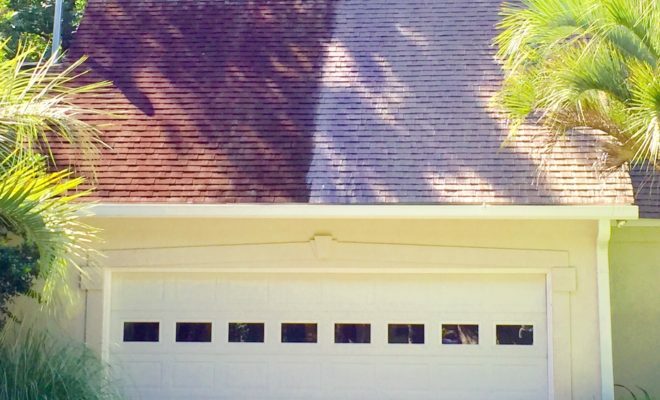 50% of Home Owners Replace Their Roof Because of The Way They Look! 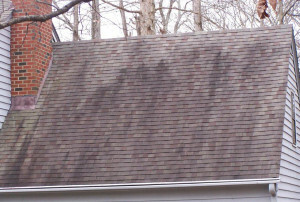 A Dirty Roof Doesn’t Mean It’s Lost Its Functionality. Save Your Money and Have It Cleaned! 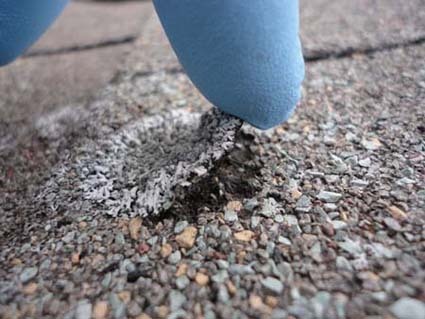 Give us a call first and see if your roof can be cleaned, before wasting thousands of dollars on unnecessary repairs! 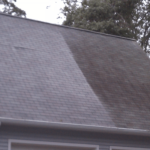 Can I Just Pressure Wash My Roof ? 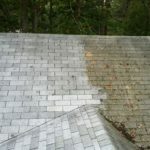 Tile and Shingle Roofs should Never be pressure washed. 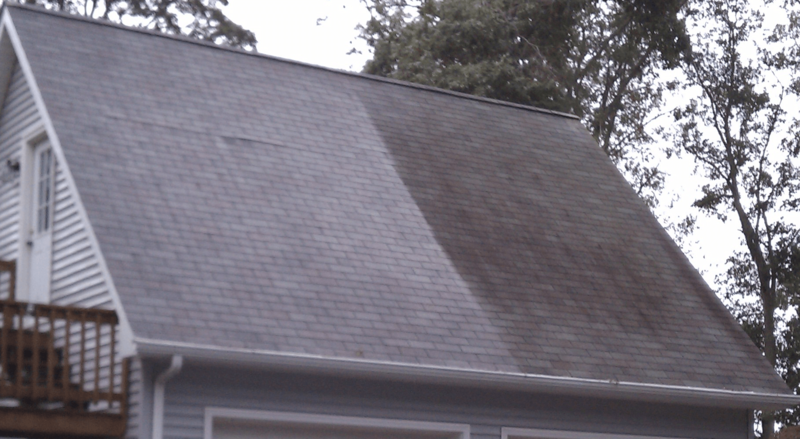 Pressure washing damages your roof shingles by blasting away the granules, and this crude and invasive method of cleaning doesn’t really kill all of the algae growths. 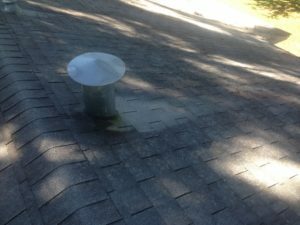 Typically roofs that have been pressure washed, will need to be cleaned again in as little as one year, depending on the amount of rainfall. 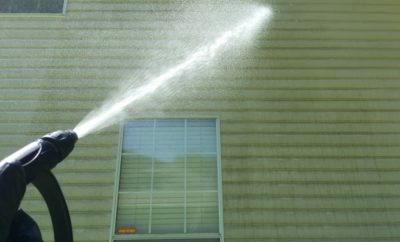 Besides ruining your shingle roof, all pressure washing does is scatter the still living algae from you roof all over the place. Call us at 850-224-1025 for non pressure washing of Stone Coated Steel, Decra Tile Roofs, GranuTile, Gerard, and Non Pressure Chemical Cleaning for Metro Roofing Products. We also clean GAF Shingle Roofing, TruSlate, PolyGlass, Monier Life Tile, US Tile, Boral, Metro Roof Products, as well as Gerard Roofing Stone Coated Steel. This is not because of their functionality. Half of the roofs replaced annually in North Florida didn’t need to be replaced, only cleaned. 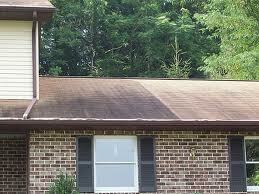 Just as mold and mildew can grow on your vinyl siding, wind blown algae can land and grow on your roof. Replacing your roof because of this algae is like replacing your siding instead of having it cleaned; it just doesn’t make sense. 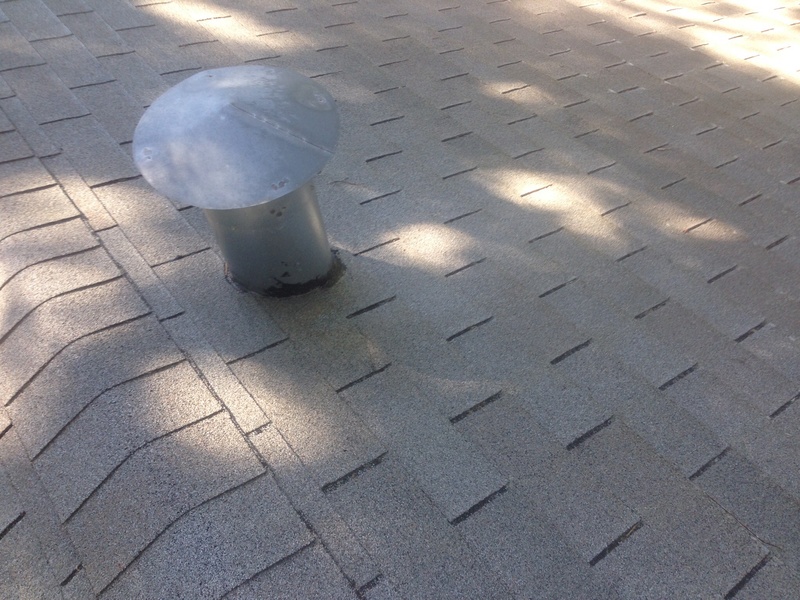 Some roofing contractors don’t know what these black streaks are, saying it’s the asphalt showing through the shingle,s or that it’s water stains. Some contractors may know it’s algae but tell you it can’t be cleaned without damaging the shingles. In either case, they may tell you that the roof needs replaced. This is not true if your shingles are still in good shape. The algae can be killed and removed properly without damaging the shingles using a low pressure chemical application (recommended by shingle manufacturers). How Do I Keep My Roof Clean In The Future ? 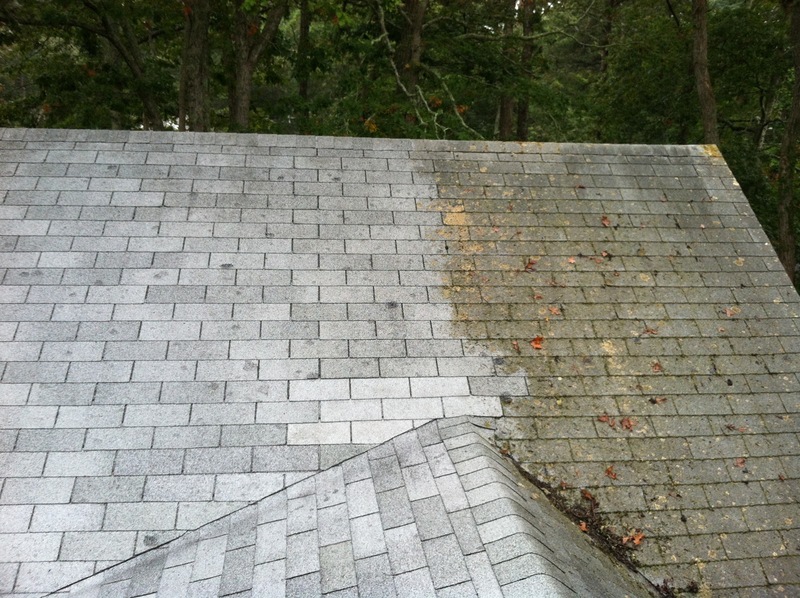 Unfortunately your tile, shingle, or metal roof will get dirty again, and sometimes much faster than the first time. 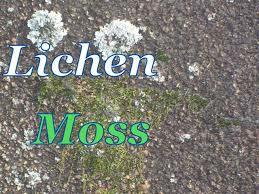 This is because as a shingle roof ages, it looses it’s protective granules that help keep this Algae from regrowing. 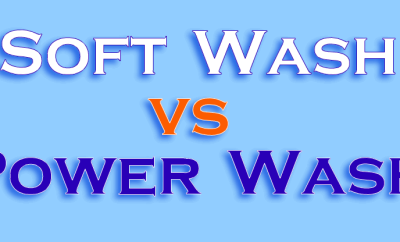 Seminole Power Wash offers low cost maintenance programs, to help keep your roof looking new, and help it last as long as possible. We use our exclusive Alage, Mold, and Mildew prevention solution, that is applied to clean and maintain new tile or asphalt shingle roofs. 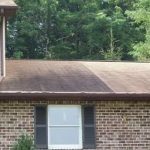 How Much Will it Cost To Clean My Roof ? Each house is evaluated individually. Size, pitch, and type of the roof, type and amount of landscaping, gutters or no gutters, and also shingle color, are all factors taken into consideration in determining price. 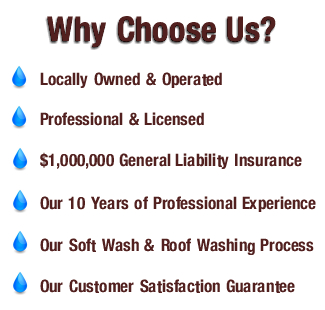 We give you your roof cleaning cost, right over the phone. We seldom have to actually come out and inspect each job. We do offer FREE, no obligation estimates. 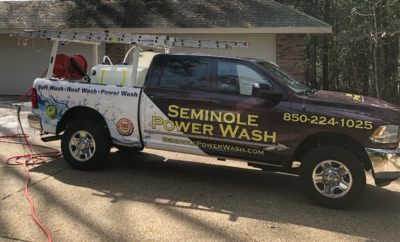 Seminole Power Wash in Tallahassee, Florida services all of Leon County, Wakulla County, and Gadsen County, Florida.